Commanded by a determined religious leader called "The Mahdi," 80,000 fierce Sudanese warriors massacre 8,000 untrained, British-led Egyptian troops in the desert, 100 miles beyond Khartoum. 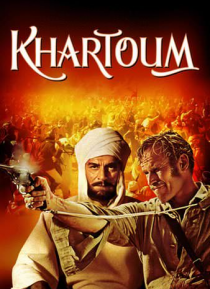 British Prime Minister Gladstone learns of the slaughter and that The Mahdi is determined to claim the great city of Khartoum to prove his divine mission and power. General Charles "Chinese" Gordon is persuade… d to try to make peace. He must also find a way to evacuate the Egyptian army defending Khartoum and protect its inhabitants.